Remember that our used vehicle inventory is always changing, so if you don’t see the used Ford model you’re searching for check back with us later, or better yet contact us and we’ll see if we can locate the model you want. We take great care in selecting only used vehicles of the highest quality to include in our inventory. Each used vehicle we we offer has been thoroughly inspected by our expert service technicians to ensure that it is in top condition, inside and out. Drivers from Lubbock and beyond will find that we offer very competitive pricing, with a number of our used cars, trucks, and SUVs priced at under $10K. We also offer pre-owned vehicle specials so you’re sure to get the best deal available. 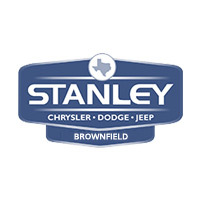 Check out our used Ford vehicles in person by visiting us at 1706 Lubbock Rd Brownfield, TX 79316 today!